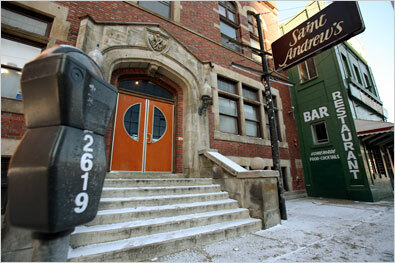 St Andrews Hall is a Detroit institution. There are three floors of fun, with lots of great live entertainment happening on any given night. Pretty much all of the big acts that have come out of Detroit have gotten their start right here. There's nothing quite like converting an old church into a concert space. The sound here is incredible as you might expect. And the prices are pretty low too! The one complaint that's pretty much universal is that it's HOT within the building, as high as 95 degrees or more, but note that the bartenders will give you as much free ice water as you need, so take advantage of it! It can be a little chaotic here but it's definitely worth it to see these great acts in such a unique space. Downtown Detroit Bars is a complete listing of the best bars in Detroit so you can plan a night out hitting up all the the best spots. Remember, to drink responsibly and rely on a designated driver. Consider calling Party Bus Detroit or Limo Detroit.